DLM attorney Brian McGiverin appears (in his capacity as counsel for the Prison Justice League) in this article on the FCC capping charges on inmate phone calls. 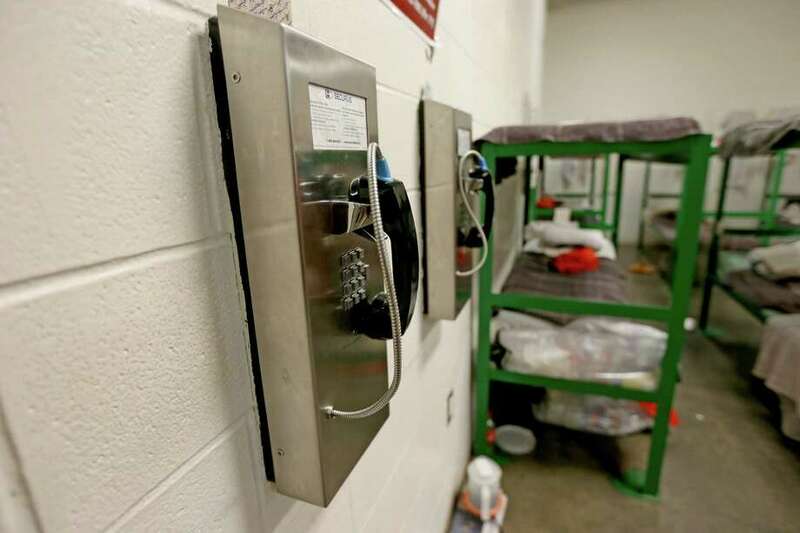 AUSTIN – Prison advocates on Thursday hailed a Federal Communications Commission ruling that slashed “unconscionable and egregious” rates for telephone calls from jails and prisons, a move that could benefit thousands of Texas families with incarcerated loved ones. In Texas, where phone calls from state prisons generated about $32 million in gross revenues for the inmate phone provider in 2013, officials said the cost of inmate phone calls could be cut roughly by half – to 11 cents per minute from as much as 26 cents – in state lockups. Rates as high as $17 per minute have been charged in some other states, sparking years of controversy that culminated in the FCC review of those rates and Thursday’s 3-2 decision. In its decision, the FCC approved a rate of 11 cents a minute for state and federal lockups and from 14 to 22 cents a minute for local jails, depending on the size of the lockup and type of call or the form of payment. The change, set to take effect next year, also will eliminate extra fees levied by some companies, ban flat rates that charge for calls regardless of the duration, and discourage companies from paying “commissions” to local and state correctional agencies from their jail phone profits. Companies that provide inmate phone services had insisted the higher rates were necessary to cover the costs of extra features, such as call monitoring and call blocking, required by corrections departments and local agencies. Correctional agencies and government agencies had argued much the same thing. Robert Hurst, a spokesman for the Texas Department of Criminal Justice, said the agency was reviewing the FCC decision with its inmate-phone provider, Century Link. He said current call rates range from 21 to 26 cents per minute. In the budget year that ended in August, he said, the state Victim’s Compensation Fund received $13.1 million from prison calls; the state’s General Revenue Fund received $3.1 million. Agency figures show gross revenues from inmate calls in Texas were $15.1 million in the 2011 budget year, $18.8 million in 2012 and $32.8 million in 2013. Comparative information from local jails across Texas was not immediately available Thursday. Inmate phone calls at the Harris County Jail cost a flat rate of $4 for the first 15 minutes, regardless of where the inmate is calling, according to Linda Harvey, director of Enterprise Managed Services at the Harris County Information Technology Center. She said that charges for the minutes that follow vary, from 6 cents a minute for a local call on the weekend to 36 cents a minute for a daytime call out of the local area; calls made outside of Texas, after the initial $4, cost 21 cents a minute, no matter the time of day. In Bexar County, calls cost $4 without a per-minute fee, according to a copy of the contract with California-based ICSolutions. Under that agreement, the county is paid 70 percent of gross revenues from the calls or $2.1 million a year, whichever is greater. State and local officials said rates in most counties are at or slightly above the FCC rate, though some additional fees can run those costs higher. Bob Haenel, a spokesman for the Fort Bend County Sheriff’s Office, said its rates – now at 22 to 24 cents per minute, and 35 cents a minute for international calls – will be changed to comply with the FCC mandate. Other counties said they plan to do the same. Commissioners Michael O’Rielly and Ajit Pai, both Republicans, dissented, saying they did not believe the commission had the authority to limit the pricing of calls. Passage of the reforms supported by FCC Chairman Tom Wheeler and Clyburn were applauded by advocacy organizations compromising the Campaign for Prison Phone Justice, along with myriad criminal justice reform and civil rights groups that had lobbied for years for curbs on the high costs of prisoner calls. The FCC began examining the costs two years ago after a Washington, D.C., grandmother detailed how she was paying $1,000 a year to talk to her grandson. The commission limited the cost for out-of-state calls at that time. Josh Gravens, executive director of the Dallas-based Organized Justice advocacy group, said the ruling will lessen the financial burden on families who want to stay in touch with loved ones in prison, an important link that encourages rehabilitation and eventual success after a convict’s prison sentence ends. It is a dilemma Linda Pugh, of the Houston-based Inmate Assistance League, has heard often from jail prisoners’ families. “They tell me, they can’t afford for their loved one to tell them, ‘I’m going to court tomorrow, can you be there?’ ” she said. Lt. Gov. Dan Patrick two weeks ago ordered the Senate Criminal Justice Committee to study the costs that family members incur to maintain contact with incarcerated relatives, including phone fees. The panel is to report its findings to the Legislature in January 2017. A committee official said Thursday that the lower rates ordered by the FCC will figure into that study.